In the summer of 2012, the derecho that swept hurricane-force winds from the Great Plains to the Atlantic seaboard knocked out power to more than four million people. The damage caused by this devastating storm cost the nation $2.9 billion. Disasters, whether caused by nature, accidents or hostile acts, exact an enormous cost, both in economic and human terms. Electric cooperatives have a unique and effective approach to emergency management and disaster recovery: mutual assistance. Following a disaster, co-ops will rapidly deploy support staff and equipment to emergency and recovery zones to assist sister co-ops. 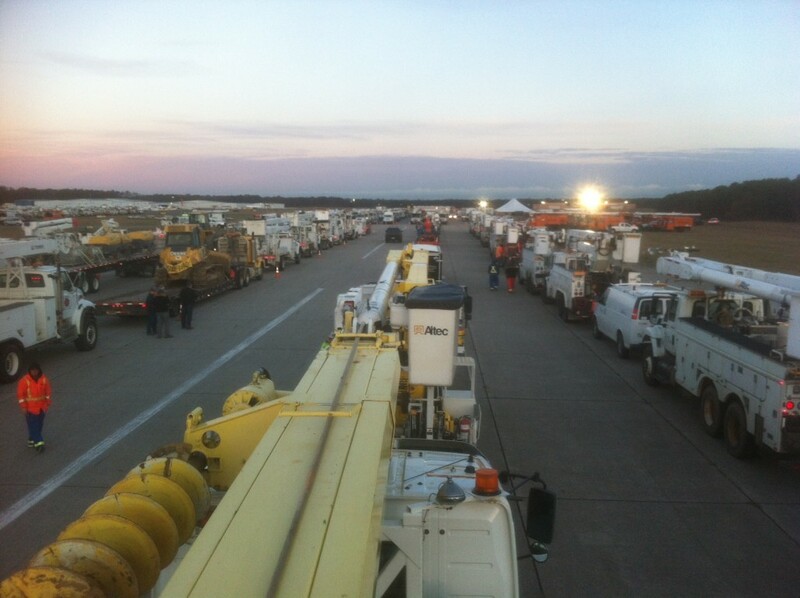 Because the national network of transmission and distribution infrastructure owned by electric cooperatives has been built to federal standards, line crews from any co-op in America can arrive on the scene ready to provide emergency support, secure in their knowledge of the system’s engineering. We work closely with other first responders, state and local government and the Federal Emergency Management Agency (FEMA) to ensure an effective and coordinated response in the event of an emergency. Since cooperatives are not-for-profit organizations, we are eligible for financial assistance from FEMA, which can fund a major portion of the cost of emergency work to restore power and the cost of repairing, restoring, rebuilding or replacing damaged facilities. This system gives electric cooperatives the ability to respond effectively and quickly in times of crisis and protects the financial interests of the cooperative members as the same time. Unfortunately, with tighter budgets, securing FEMA reimbursements after a disaster has become more difficult. Following Superstorm Sandy, Congress changed the rules: FEMA now allocates funds for rebuilding based on an estimate of costs, not on the actual cost. If the estimate is higher than the actual cost, the excess funds must be used for FEMA-approved projects. But if the estimate is low, the co-op must pay the difference. Electric cooperatives across the country learn from disasters. We learn how to protect our systems better, and we learn how to become more resilient. When it comes to resiliency, we have a good story to tell. We serve our member-consumers in the most rugged, remote terrain in the country. And we have learned how to restore power in extremely difficult circumstances.